Are you looking for fun activities in Boracay? Once you’re in Boracay Island, there are just too many things to do that it’s difficult to know where to start. Well, you can just sit by the white sand beach and grab a gigantic ice cold fruit shake from one of many food establishments and watch the waves and people. If you get bored, you can join an island hopping trip around the island and see the snorkeling sites. 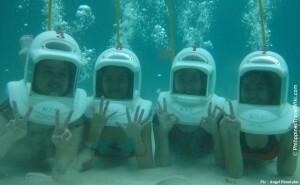 One of the water activities in Boracay is deep sea diving. Aside from swimming, you can prefer to go even deeper underwater. There are dives shops and instructors and guides whose services you can hire to show you to the diving spots around the island. The island is a nature preserve so the corals and aquatic life remain unpolluted and undisturbed except by the occasional divers. If you’re with a large group of friends or family and you’re looking for something exciting to do, you can hire a ride on the banana boats or those “flying fish” rubber rides and hold on while the operators pull you across the waters of the island. If you get hungry, there are a number of food establishments which cater to every budget and craving, from the small grill shops where you can just point out what you want and they’ll cook it for you, these are known as turo-turo. There are restaurants which serve different local and international cuisines from Japanese sushi to thick American style steaks. Just wander around and see what captures your fancy. Among the many activities in Boracay, dining is one that I truly enjoy! If you’re looking to put some ink on your skin you can visit the many henna and permanent tattoo shops on the beach side, for a price of about 400 pesos you can get a medium sized henna (non permanent) tattoo which will last for a few days. But if you really want to keep a permanent reminder of your trip to the island, you can get a permanent tattoo from the skilled artists on the island. When the sun goes down, Boracay island changes as the action moves from the waters to the beachside bars and bistros. Go in wearing just your swim wear and you won’t look out of place. These bars play the latest music, feature guest local and international DJs to make sure that the party lasts till dawn. The drinks are cheap, not just beer but the various other mixes and concoctions formulated to fuel the party till the sun comes up. If you’re looking for a quiet evening, walk around the shore and walk into the pubs in the more quiet parts of the beach, just go counter the flow of people and you’ll find many of the smaller bars with acoustic and reggae bands. Just sit back and enjoy your drink while the music relaxes your tired spirit. And that’s just for the first day, think of what else you can do for the others? You can shop for everything from clothes to souvenirs in the market, get a massage on the beach or at the more exclusive spas with a view from the top of the hills around the island or just simply walk around the find a piece of beach to call your own. I’d advise staying in the areas around station 1 and 2, as these are where the most activity is. 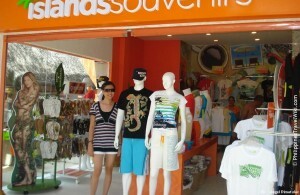 Boracay island is a premier travel destination because it has everything that people would want in a beach vacation. I hope I’ve helped shed some light on what to do if you decide to travel to the Philippines and visit the island paradise of Boracay. 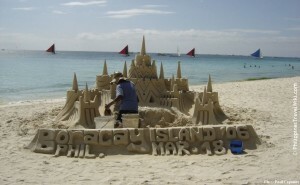 There are just a hundred and one activities in Boracay that you can try.